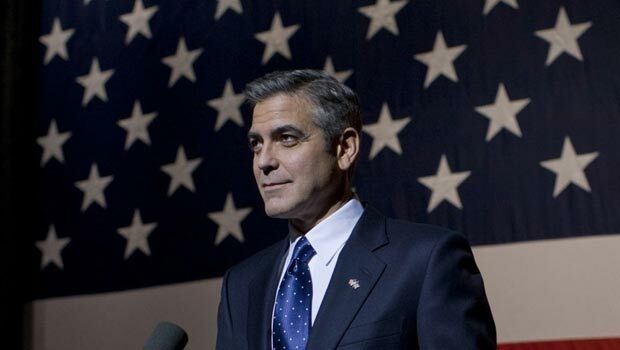 Summary: Another contender for the award season, surely, and a fantastic turn from Clooney. Between his political campaigning, writing and directing, its somewhat surprising that George Clooney finds time to act. But act he does, here taking a turn as the lead in a film that, while it might not win him any new fans, should win him awards, and feels wonderfully serious and old-fashioned, a true heir to the liberal filmmaking of the Seventies – like a Sidney Pollack film (who, not entirely coincidentally appears in Michael Clayton as Clooney’s boss, a hard-nosed partner in a Manhattan law firm). Clooney is the eponymous protagonist (not hero, for a reason), a fixer at a prestigious law firm. Though trained as a lawyer, his blue-collar background and lack of Ivy League qualifications and credentials mean that he will never make partner. Instead his role is more like that of The Wolf in Pulp Fiction; he cleans up messes for the firm’s clients – a hit and run here, a shop-lifting wife there. As the film opens, its clear that he is beginning to have major doubts and dissatisfactions about his life; divorced with no assets and a gambling problem, now the bar that was to be his safety net has been shut down due to his alcoholic brother who drank the profits, leaving Clayton to pay the unsecured loan. In the midst of his winter of discontent, Clayton is sent to the Midwest to deal with Arthur Edens (Wilkinson), chief litigator at the firm and on an extremely important, long-running case. The firm represents an agribusiness corporation, UNorth, which is accused of knowingly selling poisonous pesticides to farmers. So far, so Erin Brockovich. But this time it’s Arthur, the insider, who suffers from a crisis of conscience, having discovered a memo that unequivocally points to UNorth’s guilt and cover up of the truth. With billions of dollars at stake, and desperate to contain Arthur, UNorth’s in-house chief council, Karen Crowder (Swinton), decides to bypass Michael altogether and employs her own methods to shut him up, thus arousing Michael’s suspicions and his long dormant legal skills. Michael Clayton is that increasingly rare commodity, a film for grown ups. The story unfolds slowly, with quiet drama that arises naturally from the characters and the situations that they find themselves in, and then gradually ups the tension levels to become genuinely taut and thrilling. The characters themselves are complex; neither Arthur nor Michael are particularly heroic – they’re lawyers, after all – and both have closed their eyes and taken the firm’s money for years. They are both as corrupt as their bosses, but when faced with that one moment of truth, they realise they’ve both, in their own way, had enough, and yet even after his epiphany Michael isn’t above bribing his boss. This is not Gorgeous George; Clooney looks tired, baggy round the slightly bloodshot eyes. He’s still charming, of course, but he’s compromised himself before breakfast every day for twenty years and it shows in every line of his body and the defeated slump of his shoulders. Tom Wilkinson succeeds in making Arthur sympathetic, and not just nutty; Tilda Swinton shows how Karen’s fear drives her to make ruthless, and ultimately bad, decisions (incidentally, poor Tilda, a fantastically gorgeous woman squeezed into some utterly hideous clothes and ill-fitting bras). Another contender for the award season, surely, and a fantastic turn from Clooney.